Throughout history, and particularly during World War II, cultural objects have been looted from museums and private families. In the name of justice, a global effort is underway to restore art objects to their rightful owners. We ask you to explore the role of the courts, and especially the role our NYS courts play, in reuniting families and institutions with possessions wrongly taken from them. Below are a series of questions to help guide your research into this important and ongoing topic. You may select from one or more of these questions or come up with your own topics. Keep scrolling to find out more about Garfinkel Events & Workshops in your campus! Here is a fact pattern from an actual case that reached the highest court in NYS, the Court of Appeals. It is followed by a series of questions to help guide you in learning about the role of the NY Courts in the quest to reunite Lea’s precious painting with her heirs. Lea Bondi Jaray, a Jewish woman, was forced to flee her home in Austria with nothing more than she could carry. 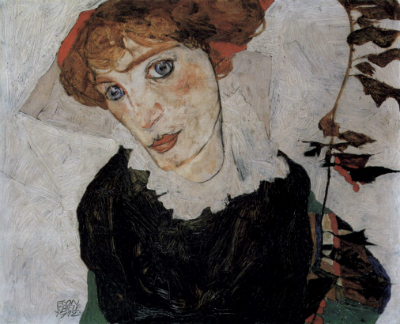 She left behind one of her most precious assets, a painting entitled, “Portrait of Wally” by Egon Shiele. Her painting was taken from her by the Nazi regime. Prior to her death, she attempted to recover the painting, but to no avail. 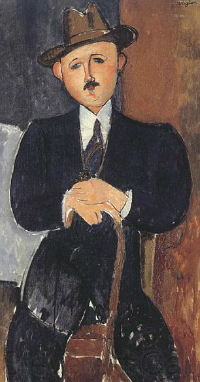 Her nephew, Henry Bondi, attempted to recover the painting in 1997 while it was on exhibit in New York on loan, from the Leopold Foundation, at the Museum of Modern Art. The museum did not return the painting and on January 7, 1998, the Manhattan District Attorney served MoMA with a subpoena demanding the return of the paintings. The Museum refused and filed suit to invalidate the subpoena. • Why did the lower court decide against a return of the painting? Do you think the Court was correct? Why? • Why did the NYS Appellate Division, the Court that heard the first appeal of this decision, reverse the decision of the lower court? Do you think the Court was correct? Why? • The case was then appealed to the Court of Appeals. What was the reasoning of the Court's decision? Do you think the Court was correct and just in its decision? Why? View the summaries of these cases on our Resources page! What role has the New York State Courts played in protecting those individuals who unknowingly purchase stolen art? What obligations do the courts have in upholding the reputation of New York State as the cultural capital of the world? In the case of The Guggenheim Foundation v. Lubell, do you believe the Court was more concerned with perception than the law? Do you agree or disagree with this statement and why? View the summary of this case on our Resources page! It has taken decades for the victims of stolen cultural art objects to recover their belongings. In the Matter of Stettiner, the heirs sought to act on behalf of their relative and recover stolen artwork. Does the role of the New York State Courts cease upon the death of the rightful owner, or do the Courts have an obligation to protect the interests of the heirs as well? Do you agree or disagree with the role of the Courts in extending ownership to the heirs? If you have another idea for a topic about Stolen Art, go for it! Consider if you think that victims of stolen objects have been treated fairly over the years in obtaining restitution of their precious possessions. The resources provided on the website will help you answer this question. Provide specific examples and cases that support and illustrate your argument. Chris Mooney is an attorney and associate professor in the CUNY Community College System, where she has been involved in mentoring students for the Garfinkel Essay Scholarship since 2009. She has been conducting teacher and student workshops and provide resources to help bring the contest to all CUNY Community College campuses. To contact Chris about scheduling a workshop on your campus or about any questions you may have about the Scholarship topic, email us at history@nycourts.gov. Contact us at history@nycourts.gov to schedule a Student Workshop on your campus! Presentation by Ms. Connie Walsh, Esq. Ms. Walsh is the Deputy Director at the Holocaust Claims Processing Office, New York State Department of Financial Services. Question & Answer Session to follow. WebEx session by art expert Dr. Erin Thompson from John Jay College. Question & Answer Session to follow. Prof. Christine Mooney will be giving a presentation to Guttman Community College Faculty and Students about the Garfinkel Essay Scholarship, including tips and tricks on writing a winning essay. Question & Answer Session to follow. For registration and program attendance for you and your students please email us at history@nycourts.gov. Contact us at history@nycourts.gov to schedule a Faculty Workshop on your campus! Three scholarship prizes are available through the contest for CUNY Comm. College students. The top prize is $1,500 with runner up prizes of $1,000 & $500. Honorable mentions will be awarded $100 to selected essays of merit. The Scholarship is open to all students enrolled in a City University of New York Community College in the Fall 2017 and/or Spring 2018 Semester. We encourage students from all disciplines to submit essays. The deadline for the 2018 Garfinkel Essay Scholarship has been extended to Monday, April 23, 2018. Essays must be between 1,500 and 5,500 words in length. Your essay must contain original writing and research. The David A. Garfinkel Essay Scholarship is generously supported by Gloria & Barry Garfinkel in memory of their son David. Their support has enabled the Society to offer this contest since 2008. The Historical Society of the New York Courts was founded in 2002 with the mission of preserving New York's rich legal history and educating the public about it through programs, publications and other projects. Visit the Society's main site.